denied "whistleblower" protection to a California prosecutor who spoke out to report improper conduct by a County sheriff's deputy. trying to expose possible misconduct at work. By a 5-4 vote, the high court ruled against a California prosecutor who said he was demoted, denied a promotion and transferred for trying to expose a lie by a county sheriff's deputy in a search-warrant affidavit. 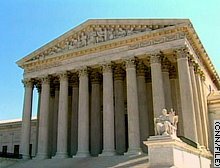 ...The high court ruled that a public employee has no First Amendment right in speech expressed as part of performing job-required duties. Steven Shapiro of the American Civil Liberties Union said, "In an age of excessive government secrecy, the Supreme Court has made it easier to engage in a government cover-up by discouraging internal whistle-blowing." Los Angeles County Deputy District Attorney Richard Ceballos had sued his employer for retaliating against him for exercising his free-speechrights when he reported suspected wrongdoing in a memo to senior officials in his department. The justices overturned a ruling by a U.S. appeals court that Ceballos' action was protected by the First Amendment of the Constitution because he was speaking on an issue of public concern. [Writing for the court majority, Justice Anthony] Kennedy said..., "When public employees made statement pursuant to their official duties, the employees are not speaking as citizens for First Amendment purposes, and the Constitution does not insulate their communications from employer discipline"
JUDICIAL INTRUSION IN THE WORKPLACE? Kennedy said a ruling for Ceballos would result in a "new, permanent and intrusive role" for the courts in overseeing communications between government workers and their superiors, replacing managerial discretion with judicial supervision. The court's liberals, Justices John Paul Stevens, David Souter, Ruth Bader Ginsburg and Stephen Breyer, dissented.Stevens ,,, called the majority ruling "misguided." Souter wrote in a separate dissent that government employees who speak out about official wrongdoing should be eligible for First Amendment protection against reprisals. At first glance, Justice Kennedy's comment that, in this circumstance, replacing managerial discretion with judicial supervision would constitute unwarranted "juducial intrusion" in the workplace struck me as particularly at odds with well-settled Canadian employment law. Firstly, there are the numerous Canadian cases regarding the general, overriding duty of an employer to act in good faith toward its employees. On whistleblowers in particular, however, see the Supreme Court of Canada's 2005 decision in Merk v. International Association of Bridge, Structural, Ornamental and Reinforcing Iron Workers, Local 771. Section 74 protection should be extended to employees who first blow the whistle to the boss or other persons inside the employer organization who have the “lawful authority” to deal with the problem. If the problem is not resolved internally, then employees can go “outside” to the police or another enforcement agency, but in order to obtain the protection of s. 74, it is not necessary that they do so. I should add that there may well be circumstances where an employee is fully justified in not seeking an internal remedy but in going directly to the police, as where (for example) it is feared that the employer may destroy evidence. Whether or not an employee is justified in bypassing internal remedies will depend on the circumstances. My point is simply that a suitable “lawful authority” may be found inside as well as outside the employer organization, and if an employee chooses to go the inside route and suffers retaliation, the protection of s. 74 is still available. There is nothing in s. 74 or surrounding context to suggest that the Saskatchewan legislature in 1994 intended to expose “loyal” employees to employer retaliation without a remedy. Until the date of her termination, Ms. Merk had justification for being concerned that the payments were improper and it was reasonable for her to believe that some of Royer’s expenditures were a fraud on the union. In my view, that is sufficient to meet the threshold in section 74. Members of the public who report suspected fraud or other financial wrongdoing in the federal government could be rewarded with a "cut" of any money recovered, Treasury Board President John Baird said Thursday. Under the Conservatives' new Accountability Act, civil servants can get up to $1,000 for blowing the whistle on fiscal mismanagement in government, which Baird compared to the popular Crime Stoppers reward program used by police. Daily Kos has links to three additional commentaries (largely critical) by Brettnet, goverup1 and Xpatriated Texan on the SCOTUS ruling. The somewhat eccentric story below has prompted this reminder that in Ontario, a Power of Attorney for Care is the best means of ensuring that your loved ones and health care professionals know your intentions in a medical crisis. The Ontario Power of Attorney for Care is a simple legal document that is easily and inexpensively prepared by a lawyer. It is used to designate the individual(s) who are authorized to provide care instructions to your physicians when you cannot do so for yourself. If desired, the Power of Attorney for Care may also be utilized to make your specific health care wishes clearly known and legally enforceable. Reacting to last year's Terri Schiavo controversy, however, an 80 year-old Iowa great-grandmother has taken it to a whole new level entirely. Dyersville, Ia. — Eighty-year-old Mary Wohlford has informed family members of her wishes should she ever become incapacitated. She also has signed a living will that hangs on the side of her refrigerator. But the retired nurse and great-grandmother now believes she has removed all potential for confusion. She had the words "DO NOT RESUSCITATE" tattooed on her chest. ...Medical and legal experts expressed doubts that Wohlford's tattoo would prove binding, either in the emergency room or in the courts, but they give her credit for originality." I'll be darned," said Bob Cowie, a Decorah lawyer and chairman of the Iowa Bar Association's probate and trust law section. He added, "There are easier ways to do it than that," such as signing a living will or authorizing a medical power of attorney. 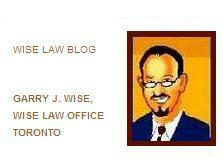 Said Wohlford: "I don't believe in lawyers too much." ...She said her decision to enter a Galena, Ill., tattoo parlor in February was the culmination of what she witnessed during her almost 30 years in nursing and during the Terri Schiavo controversy last year. Schiavo was the Florida woman who collapsed in 1990 and never recovered. She died in April 2005 after a judge ordered her feeding tube removed. The case divided her family and the country. Wohlford said she does not want something like that to happen to her. If all else fails, if family members can't find her living will or can't face the responsibility of ending life-sustaining measures, she said, then doctors will know her wishes by simply reading the tiny words that are tattooed over her sternum. "I probably should have had it dated, too," she said. 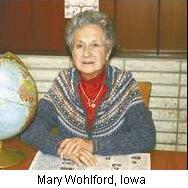 ...The widowed Wohlford has eight daughters, 17 grandchildren and four great-grandchildren. ...In addition to a living will, Cowie said, another approach is to authorize someone who can make decisions for you using what's called a medical power of attorney. If traveling, place a copy with your airplane tickets, he said. Cowie said some clients have their living will or medical power of attorney form reduced in size and laminated, then carry it in a wallet. On one issue, the experts are unanimous: If Wohlford's tattoo gets more people thinking about what they want done in a health crisis, they're all for it. That's Wohlford's wish as well. "At least it gives them my feeling on the situation, so they have a guideline of what I'm thinking. Then they can work from there. Everyone needs to think about this," she said. Wohlford has no regrets about getting her tattoo "it felt kind of like a bee sting" and proposed an offer to Lietz, the shop owner. "I told Gary I'd bring a busload of old ladies over if he'd give me a 10 percent cut." Thanks to writer Bill Rogers, my life in and outside the office has once again found its way into the press. 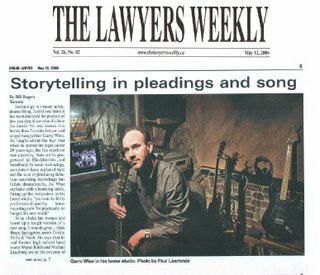 I was fortunate to be featured in a story in the Urban Lawyer section of this week's The Lawyers Weekly newspaper. The full article is posted here. Bill and I spent a very enjoyable evening together last month at my studio, talking about law and tunes. 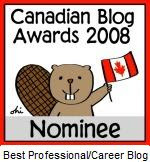 As it turned out, in addition to his own law degree and blue-chip career as a writer for The Lawyers Weekly, Bill has a rather impressive musical background of his own, including a previous finalist's spot in a Q-107 Homegrown contest and some pretty fine recordings, some of which can be found on his own website. I knew something was up as soon as he walked into the studio ... the way he looked around, checking out the guitars and gear. "You're a musician aren't you?" I asked. He admitted the obvious. And then, for a couple of hours, we spoke about his music and mine and life and law in general. When he finally agreed to let me listen to one of his tunes that was posted online, my jaw practically dropped. The guy is for real. He is really good. The talent of a truly great interviewer is probably in creating an atmosphere that allows the subject to speak in a natural and honest voice. Bill's genuine interest and sensitive approach pretty much let me forget that tape was running and recording our discussion. (The fact that he liked a few of my tunes probably didn't hurt either). Ontario's human rights complaint system has long been criticised for inefficiency and delay. On April 26, 2006, Ontario Attorney General Michael Bryant tabled reforms to Ontario's Human Rights Code, aimed at streamlining procedures, improving access, and speeding up claims resolution. Establishing two new secretariats, an anti-racism secretariat and a disability rights secretariat, within the OHRC. "The commission will continue to work with the government to build a renewed human rights system that maintains Ontario’s position as an international leader in human rights," said Barbara Hall, chief commissioner of the OHRC. "Under this legislation, Ontarians would be able to have their human rights complaints resolved quickly, efficiently and effectively," said Michael Gottheil, chair of the HRTO. "I look forward to working with the government on implementation." For over fifteen years, there has been a growing dissatisfaction with the human rights process in Ontario. This dissatisfaction has been expressed by members of equity seeking communities, by human rights advocates and by lawyers practicing in the area of human rights. During that time, there have been four government-initiated reviews of human rights enforcement systems in Canada, one specifically directed at the Ontario legislation, one dealing with the very similar federal human rights complaint system, and two reviewing the systems in other provinces. Despite the fact that each of these reviews made very similar recommendations for reform of the human rights complaint process, to date no major reform has been undertaken in Ontario. That is, until now. On February 20th, 2006, Attorney General Michael Bryant announced proposals to reform the human rights system of Ontario. The proposals call for direct access to the Human Rights Tribunal of Ontario rather than the current system in which the Commission screens all complaints and decides which complaints will be referred on to a hearing in front of the Tribunal. Further, the current proposals are intended to enable the Ontario Human Rights Commission to take a leadership role in “public education, promotion and public advocacy,” While the Commission could still bring a complaint to the tribunal, its role would focus less on individual instances of discrimination and more on system or social discrimination. The full text of Bill 107 2006 can be found at this link. The proposed amendments have not been passed in the Legislature and are not yet enacted as law. The Supreme Court of Canada has ruled in Childs v. Desormeaux that hosts who serve alcoholic beverages at private parties are not liable (absent extenuating circumstances) for damages caused by intoxicated guests who cause motor vehicle accidents following the party. 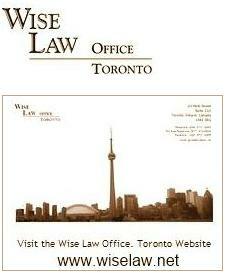 The case arose from a 1999 Ontario motor vehicle accident which followed a New Year's Eve "BYOB" party. An impaired guest was involved in an tragic accident, in which one man was killed and one woman was left paraplegic. Mothers Against Drunk Driving (MADD) had intervened to make submissions to the Court. The Court distinguished the obligations of a private host from those of a commercial bar or tavern. A commercial establishment that serves alcohol has a duty to monitor its patrons and limit unreasonable consumption of alcohol. Tavern owners may be found liable in these circumstances. A person who accepts an invitation to attend a private party does not park his autonomy at the door. The guest remains responsible for his or her conduct. Short of active implication in the creation or enhancement of the risk, a host is entitled to respect the autonomy of a guest. The consumption of alcohol, and the assumption of the risks of impaired judgment, is in almost all cases a personal choice and an inherently personal activity. Absent the special considerations that may apply in the commercial context, when such a choice is made by an adult, there is no reason why others should be made to bear its costs. What sorts of circumstances might fit into the "active implication" exception the Court outlined? For example, would a host who said to a guest, "C'mon Roger, don't be a wimp.. Have another martini for the road.." be "actively implicated in the creation or enhancement of the risk?" The decision on that issue, according to the Court, will apparently have to wait for another day.